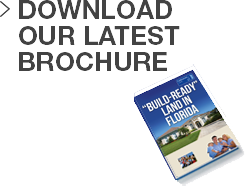 If you are looking to purchase a modular homes for your new land, then we have put together some great resources. Please note that Fairhomes Land is not responsible for the content or accurancy of any information found on external websites. Modular Direct - has a wonderful selection of designs to choose from. Their range of pricing also has a specific pricing for Florida, which gives you a really good idea of potential costs.